Yellow Capital originates from a passion to provide professional money management and investment advice through a service both unique and personalised. The company is managed by a team of investment practitioners whose practical and realistic style of money management challenges an industry and academic benchmark that equates risk with dated scientific formulas (developed by U.S. scientists in the 1950s). The team’s astute, business-like approach to financial planning and money investment has established the Yellow Capital brand as a financial concierge, guiding clients along a path of effective planning and superior investment. It is the aim of our business to improve your financial position by servicing you with dependable advice and authoritative insight; an ethos enveloped in our company name, Yellow Capital, which is inspired by a philosophy articulating gold as the most precious of metals, as dictated by its buying power. Gold has been the medium of exchange for over 1000 years, and is still the ultimate accepted means of payment. It is often referred to as ‘the yellow metal’ because of its lustre and shine – an indication of its value. Throughout history no paper currency (fiat money) has survived in its original form. Paper currencies are normally inflated away until they are worthless. When governments come under financial pressure they usually resort to printing money to pay their debts, be it war debt or just excessive spending. The purchasing power of the US dollar has declined by 90 per cent since the year 1950; a situation similar for most world currencies. This drives Yellow Capital’s belief in gold and silver (not paper) as ‘real money’, and as an exceptional store of wealth. Our investment principals are sturdy; grounded in that which has wielded worth for centuries past, and will do so for centuries to come. Yellow Capital Wealth Management is a trading style of Yellow Capital Investment & Financial Planning Ltd and is an appointed representative of ValidPath Limited which is authorised and regulated by the Financial Conduct Authority. 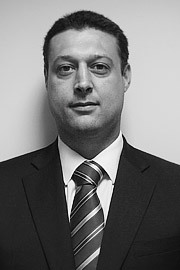 Haydn started his financial career in the Channel Islands where he was employed as a private equity fund administrator. Here he formulated a sound method for valuating securities and investments, supported by his experience working in in the Private Client department and managing offshore trusts. 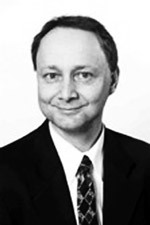 Haydn follows the principle of value investing and was the first UK national to attend the University of Western Ontario’s Ivey Business School & Ben Graham Centre for Value Investing, the only other recognised Business School (apart from Columbia Business School in New York) to teach the principles of Benjamin Graham, ‘the father of value investing’. After four years working as an IFA at an international financial services firm in London, Haydn confirmed his level of expertise with added experience in retirement planning strategies and investment management for private clients. When the opportunity arose to join a small group of professionals, Haydn decided to move on and become a Director at Yellow Capital. Haydn provides specialist advice to an exclusive group of high-net-worth private clients and organisations. Haydn lives in Surrey with his wife and son, and enjoys F1 and other sport including rugby and cricket. Following a classical education Paul spent four years as an artist and film animator, and then two years in engineering before entering the world of finance for Abbey Life in 1970. He then joined a life assurance brokerage for a year, thereafter starting his own firm in 1971 to advise on investments, pensions and life assurance. During his forty-plus years as an Independent Financial Advisor (IFA), Paul was involved in the design and introduction of several ground-breaking products and became an expert on protection and inheritance tax mitigation. He also garnered a wealth of experience in investment, which recently led him to carry out detailed research into the Absolute Return and Cautious Managed sectors for a Family Office. 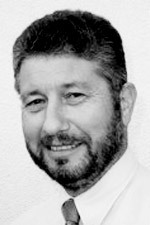 Having retired at the end of 2011 as an IFA, Paul was soon tempted back into near full-time employment on being introduced to Haydn Ellwood, whose investment principles chimed with his own and whose enthusiasm to build up a new practice founded on the highest standards of business and professionalism was irresistible. Paul is now dedicated to using his lifetime’s experience to help Yellow Capital achieve its goals. His other business interests centre on being Chairman of a company which is currently incubating several new businesses in emerging markets, primarily in India. Paul lives with his wife in North West London and enjoys worldwide travel and Formula One, as well as spending time with his four children and six grandchildren. 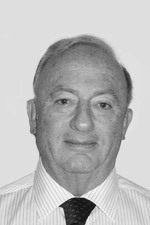 Martyn Ingram joined the financial services industry in 1976 and has been an enthusiastic investor in collective investment vehicles since the early 1980s. In 1996 he became a founding director of Independent Portfolio Managers (IPM), where he headed up IPM’s institutional wealth management division. Martyn has worked both as a discretionary investment manager and as a fund analyst but now prefers to be regarded as a return-driven investment asset allocator. His investment views are strongly guided by the analysis of prevailing macro-economic conditions and assessing the investment outlook over an eighteen-month to two-year time horizon. In 1996, before joining IPM, Martyn gained the rare distinction of ‘first decile performance’ over seven years as manager of a Skandia Pension Broker Fund. In 2007 he led IPM’s team, which took the decision to remove its clients first from property and then from the bond and equity markets. As a result, IPM’s clients were largely protected from the ravages of the ‘credit crunch’. Martyn was a founding Director of The National Association of Broker Fund & Investment Managers Limited, a member of the London regional panel of the Association of Unit Trusts and Investment Funds (AUTIF) and is an Affiliate of the Securities Institute. Martyn enjoys golf and has a handicap of 9. Glyn holds the IMC qualification from the CFA Society of the UK and has been in the investment industry for over 30 years. 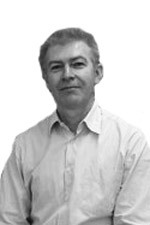 Glyn’s primary role is the analyses of investments, investment products and investment portfolios. This has resulted in Glyn developing new investment products, effective combinations of existing investments and more efficient investment portfolios. Glyn always questions the ‘accepted wisdom’ of his peers and often finds solutions years ahead of the industry. He has been featured (repeatedly) in Investors Chronicle and has written a report for the Japanese FSA. Glyn has also interviewed fund managers for nearly 30 years, and sees this as being a very important element to achieving better returns. Glyn brings to Yellow Capital a wealth of experience and knowledge in both investment analysis and performance measurement. Glyn is a member of Yellow Capital’s Investment Committee and heads up the internal review service for Yellow Capital’s clients and investment advisors. Kevin has twenty-seven years’ experience in the financial services industry, of which he has been a successful IFA for twenty-one of those years. At only 50 years old, Kevin is on the Investment Committee for the Pension Review Service and is the author of two IFA guides; Fee-Based Advice and Professional Ethics. Kevin is also the Managing Director for ValidPath Ltd, which is a UK network dedicated to the accountancy-based IFA community. Kevin brings an abundance of experience in ‘new model’ practice ‘know how’ to wealth-management and financial planning services within an accountancy and compliance backdrop.